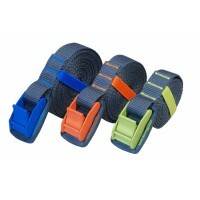 Sea to Summit 5.5m tie down straps with Neoprene cam covers have been designed to be easy to use, with features like more rigid webbing and a larger Cam buckle. 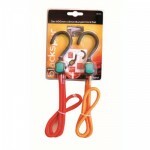 This Cam strap is one of the easiest to feed on the market. 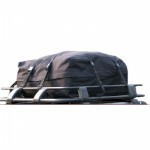 Plus protection features like AS/NZS standards and thick neoprene cam cover to protect your car. 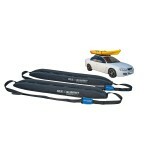 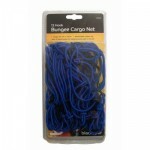 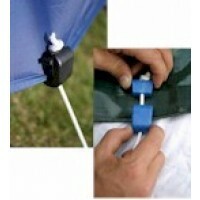 Suitable for all types of canoes, kayaks, rafts and the excess trailer load. 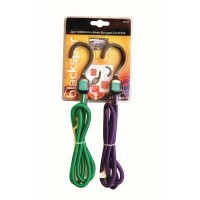 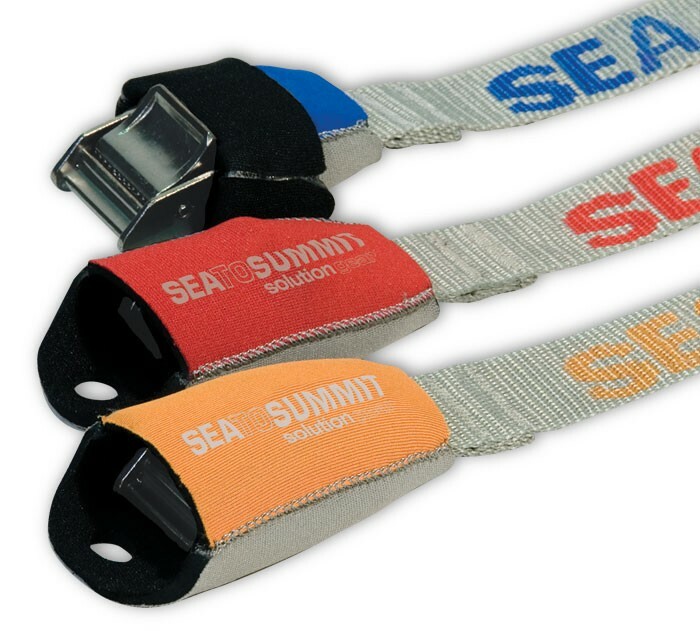 Sea to Summit Tie Down Straps with Neoprene Cam Covers – 5.5m.